*This rate applies to high school students who were not enrolled in Clonlara the previous school year and who wish to graduate the first year they enroll. Contact an Enrollment Associate to enroll. Also be sure to review Clonlara’s Senior Policy. Payment plans are also available for the tuition portion of the amount due. Clonlara’s Elementary and/or Secondary Education Guide. Official, private school records, documentation and transcripts. 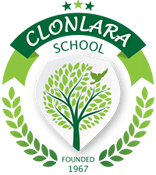 Accredited diploma upon completion of Clonlara’s graduation requirements. Access to the Clonlara Commons — our web portal contains online forms and enables high school students to view their transcripts. International Fee — Due upon enrollment. New Families: $100 for each enrolled student. Applies only to families with mailing addresses outside the US, its territories or an APO or FPO. Late Fee — $25 for missed deadlines on services which specify a deadline. Rush Fee — for short notice and urgent services. 504 Plans /Special Needs Documentation — $250. Non Routine Documentation — $50/hour. Apostille Document Preparation — $100 per document submitted for the Great Seal of the State of Michigan. Examples of possible documents may include Clonlara transcripts or diplomas. Language Translation or Non-Routine Documentation — $50/hour. Tuition is non-refundable when a student has been enrolled in the Off-Campus Program during the previous school year. (i.e., 2016-17 tuition is non-refundable for those enrolled in the 2015-16 school year). We understand that new enrollees need time to digest what it means to embark on the self-design of a curriculum and education plan, since this may be a brand new type of experience. We give new enrollees time to familiarize themselves with their Clonlara Education Guides and have a personal consultation with their Advisor. New enrollees have an option to withdraw within 45 days from the date of enrollment or from the first day of school, whichever is later. Notification must be made in writing to Clonlara’s Enrollment Associate of your intent to withdraw. Notice may sent by fax: (734) 769-9629 or email: enrollment@clonlara.org. All postmarks must be within 45 days of enrollment or by the first day of school, whichever is later. This includes weekends and holidays. Families must return their Clonlara Education Guide(s) and student ID card(s) to the attention of Clonlara’s Registrar before tuition refunds will be issued. If you have paid tuition in full – and officially withdraw within 45 days as outlined above, we will refund 75 percent of the tuition you have already paid. Registration fees and overseas fees are non-refundable. If you used the payment plan – and officially withdraw within 45 days as outlined above, we will refund 75 percent of your tuition. Clonlara will cancel and/or reverse charges on any subsequent payments that are scheduled. Registration fees and overseas fees are non-refundable.